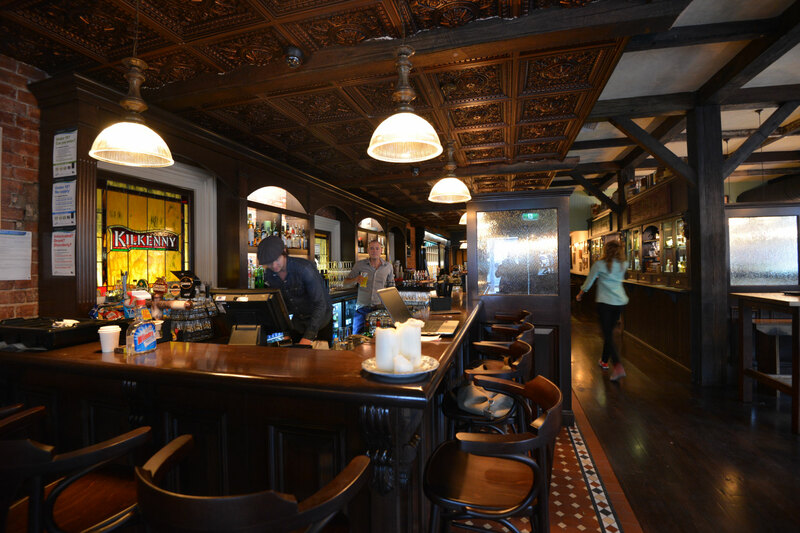 The Fifth Province is an Irish pub located within the heritage listed Railway Station in the heart of St Kilda, offering authentic food, a variety of tap beer and live music. 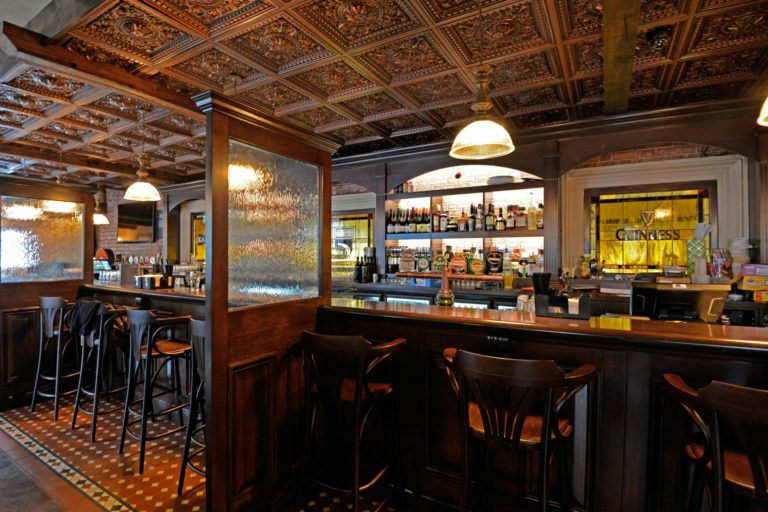 Corso Interior Architecture were engaged to design the bar and make space planning alterations to the general layout of the restaurant. 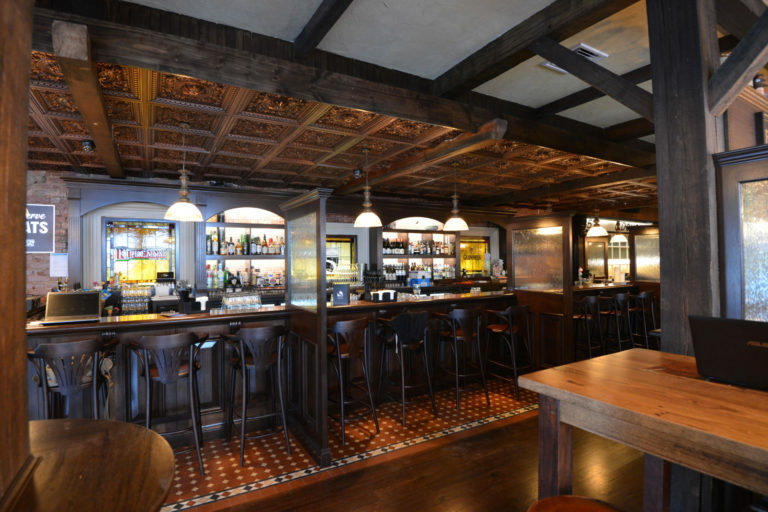 The bar area is the central focus of the site and was carefully designed to maximise efficiency and influence the traffic flow evenly throughout the restaurant. The wood panelled bar includes arched recessed shelving to highlight the existing heritage protected brick wall, intricate detailed ceiling, exposed timber beams and recycled window screens to create private and snug spaces for customers to chat over a pint. 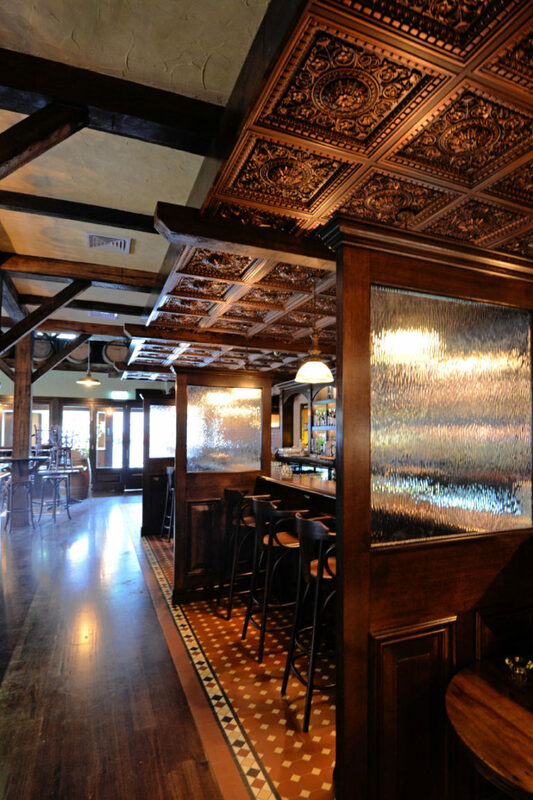 The pubs interior is finished with recessed lighting, decorative pendants and dark rich textures which provide a relaxed, warm and informal atmosphere, which is exactly what an Irish Pub should feel like!